"(It) wasn't long before it came to my attention that two people that had a one time played roles in my life had moved to Orange County and for no other reason than I could, I sought them out. 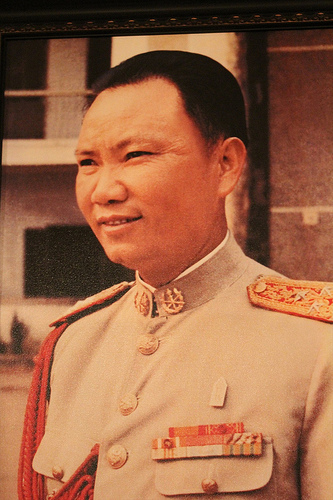 One was onetime Air Vice Marshal come vice president of Vietnam, Nguyen Cao Ky. 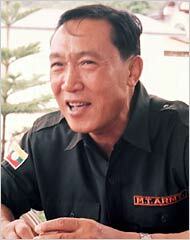 The other was the Laotian warlord General Vang Pao." For a couple of years leading up to and during the year 1977 --- before I left for Jamaica --- were busy ones for me as there were a number of loose ends that I had continued to put off that needed to be attended to before I left, mostly having to do with catching up with a few people that were either in, peripheral to, or relevant in some fashion to me then or at one time in my life. It was during that same so mentioned period of time, just up to and including 1977, that I, here in the United States and Orange County in southern California more specifically, purposely sought out and made contact with two of the three warlords pictured above that I had some interaction with in some fashion or the other in the early to mid 1960's in Southeast Asia. 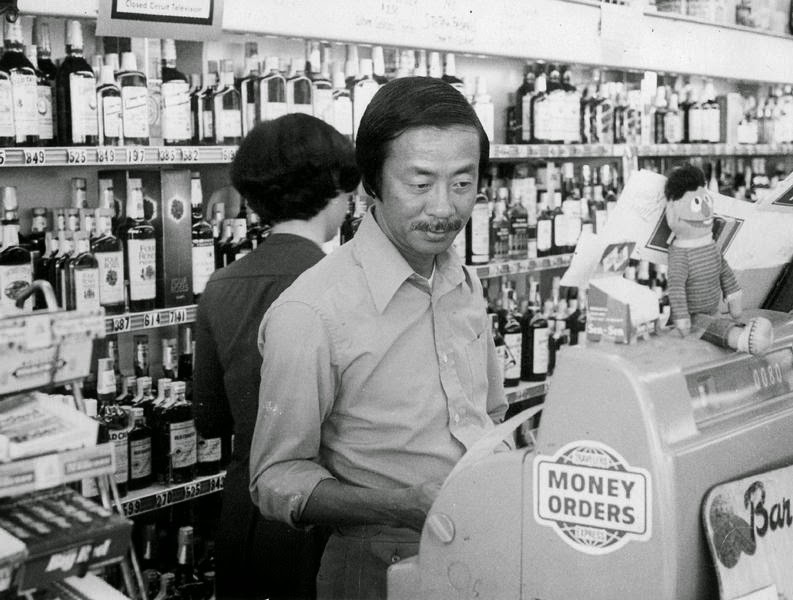 "(W)ithin days of De Acosta's death, oddly enough, the Wanderling received a request from Andy Warhol to meet anyway. 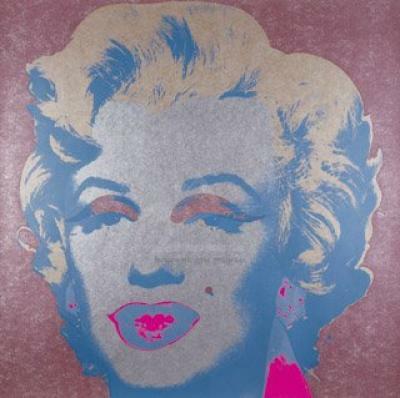 The typically New York based Warhol just happened to be staying in La Jolla, California, not far down the coast from where the Wanderling was living at the time. Warhol was filming a movie called San Diego Surf with a bunch his groupies, including not just a few of whom were seemingly experiencing the short and long term effects of west coast/Mexican mescaline for the first time during the Wanderling's stay --- of which, it must be said, neither he nor Warhol participated in." What is important here is mescaline and thus then it's source and the reference of La Jolla being not far down the coast from where I lived at the time --- a reference that related loosely to Orange County, California. In those days, several miles north of La Jolla, in Laguna Beach, there was an infamous 60s head shop on Pacific Coast Highway called Mystic Arts World --- albeit now long since gone, having burned to the ground in the early 1970s. My Stepmother, now deceased, had for years, owned a small weekender or summer-type cottage in Laguna Beach a short distance south of Main Beach on the west side of PCH, of which my Uncle and I used regularly in my youth --- my uncle having had long established ties with the art colony there and well before the rise of the Brotherhood. However, my Uncle, who lived in Santa Fe, New Mexico and long since gone from the Laguna Beach art scene, for whatever reason during the exact same years as the Brotherhood, maintained or had access to a post office box in town. Every once in awhile a package would come to me from my uncle through a variety of means, hand delivered, etc., that, since I lived not far from Laguna Beach in those days, would then take to the post office and put into his P.O. box or, if requested to do so by my uncle, hand deliver it to someone associated with the Brotherhood. "The Brotherhood dealt heavily in the movement and sale of marijuana, psychedelic mushrooms, and LSD --- reportedly with upwards of $200 million in sales in the late 60s. The organization began to fall apart shortly after its leader died of an overdose of synthetic psilocybin in August 1969 and the Mystic Arts World building burning to the ground following a mysterious fire that started just before midnight June 4, 1970, a fire widely viewed as arson. By 1974, following an August of 1972 multi-agency government raid, most of the remnants of the organization were dispersed, scattered, or gone." All during that period from meeting Warhol to a variety of minor interactions to a couple of major ones with the Brotherhood in Laguna Beach to leaving for Jamaica in 1977 I was in and around or through the Orange County environs on a regular basis. So saying it wasn't long before it came to my attention that two people that had a one time played roles in my life had moved to Orange County and for no other reason than I could, I sought them out. One was onetime Air Vice Marshal come vice president of Vietnam, Nguyen Cao Ky. 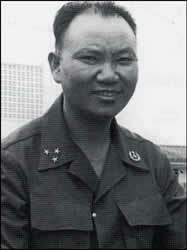 The other was the Laotian warlord General Vang Pao. "After a long, cold winter's journey up the Red River from Son Tay, my mother arrived at the foot of the mountain. It took her hours to climb the hundred of steps leading to the summit, but she was desperate, and this visit to Huong Tich, the pagoda dedicated to Buddha that has welcomed pilgrims for more than a thousand years, was her last chance. A few months earlier, my father had begun negotiations to take a second wife, a young woman whom he hoped would bear a son to carry on the family line. Mother had presented Father with three daughters and two sons, but neither had survived past early childhood. A trusted fortune-teller advised that it was not my mother's destiny to raise a son. Seeking to change her fate, Mother set out on her pilgrimage. "Near the shrine is a lake, and from its center jut several huge rocks where people come to pray. Mother found a sampan and paid the boatman two fares. The second was for the son whose soul, she hoped, would return with her. At the sacred stone, Mother prayed to Buddha for a son. Then she went home. "When I was born nine months later, I was considered Buddha's child." Somewhere along the way, either by his system of informants or during his trips into Laos or both, word filtered down to him about an American in the north that was said to be "under the protection of the Lord Buddha." Knowing full well how his own protection came about, that is, through the determination and spiritual efforts of his mother, he was curious as to how such protection, if true, could befall someone else, especially so an American. Without wasting time Ky told me in the recent past he had sought me out several times, but somewhere along the way I had simply disappeared. He related to me about his mother, her pilgrimage and her prayers to Buddha, basically everything he would eventually write in his book 38 years later and of which I have presented above. After his explanation of the role of the Buddha in his life as promulgated by his mother, it was quite clear he was interested in one thing and one thing only --- to know if it was true that I was "under the protection of the Lord Buddha" and if so, how was it that I, a fully white male of American descent and to his knowledge at the time with little or no connection to the Buddha, was afforded such rare and high level spiritual protection. I told him I didn't know if I had such protection all along, but I became aware of the possibilities of same when I first arrived in-country. I had been rout-stepping around Tan Son Nhut Air Base on TDY for awhile and gone into Saigon a couple of times before being shipped north. On one of those times, almost as if I had been targeted, I was unrelentlessly pursued by a taxi driver outside the main gate. Giving up, he took me to a dump of a bar in the Cholon district of Saigon. Out of the smoky milieu of mostly horny and inebriated GIs, unsolicited, a tea girl attempted to sit on my lap and put what appeared to be a gold necklace around my neck that had a small Chinese character hanging midway along it's length. Immediately recognizing the small medallion I grabbed the necklace from her hands asking where the necklace came from and how she got it. She pointed toward a group of barely discernible figures sitting in the shadows along the darkened back wall, telling me that a burnt man paid her to put it on me. In just the few seconds it took me to work my way through the crowd to the back wall pulling the tea girl with me the burnt man, if there ever was a burnt man, was gone. The necklace, which I still have and continue to wear to this day, from what I could remember, looked exactly like the one the person I call my Merchant Marine Friend showed me one day while I was in high school. He told me before the necklace showed up in his life, for as far back as he could remember he never owned or wore a gold necklace or any necklace for that fact of any type. However, after weeks and weeks of being missing following the ship he was on being torpedoed during World War II he was found floating out in the middle of the open ocean strapped to a piece of debris by heavy ropes --- and when found he was wearing the necklace, which for him, since he wasn't wearing any necklace the night his ship was torpedoed, seemed to have mysteriously appeared out of nowhere. As for the burnt man, my merchant marine friend told me in order to stay alive after the attack he had no choice but to jump overboard, landing in an area with oil and naphtha burning all along the surface of the water, the fire scorching both his skin and lungs as he plunged through the surface and came back for air, an endeavor he did over and over until he could no longer remember. 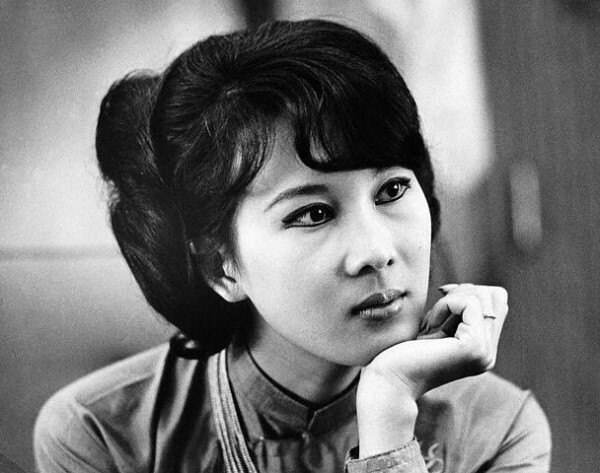 The problem is, by the time the incident in the Saigon bar occurred between me, the Saigon Tea Girl, and the burnt man, my merchant marine friend had been dead some ten years or more, having passed away during the summer between my sophomore and junior years in high school. At his memorial family members had told me he wanted to be cremated and his ashes tossed at sea near where his ship was torpedoed and, along with the ashes, the necklace returned to the sea as well. As far as I know those wishes had been complied with. As to the necklace itself and where it came from, the merchant marine told me when he was around my age (i.e., my age at the time he told me, a teenager in high school) he had become driven, actually obsessed with the lost continents of Atlantis and Mu. When he got old enough he ran away from home traveling the world to find or substantiate both places. But, the more and more ancient places he visited and more and more educated he became the more and more he became convinced neither place ever existed. In his quest, both pro and con, besides all the Atlantis and Mu books in his library, he had collected reams and reams of books, material, research and explanations that debunked nearly every single aspect of either continent or their civilizations that anybody could ever pose. When all is said and done, what I have learned over time is that for the necklace to have the intended power vested in it, it has to either be given freely and without malice or found after having genuinely been lost. Otherwise, if taken or stolen, its intent would be reversed and what would befall the person so involved would be quite the opposite of the protection it provided. 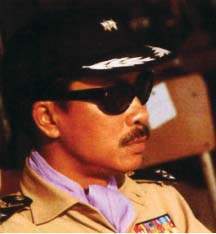 Vang Pao, like Nguyen Cao Ky, following the termination of hostilities and withdrawal of U.S. troops in southeast Asia, ended up in Orange County as well. 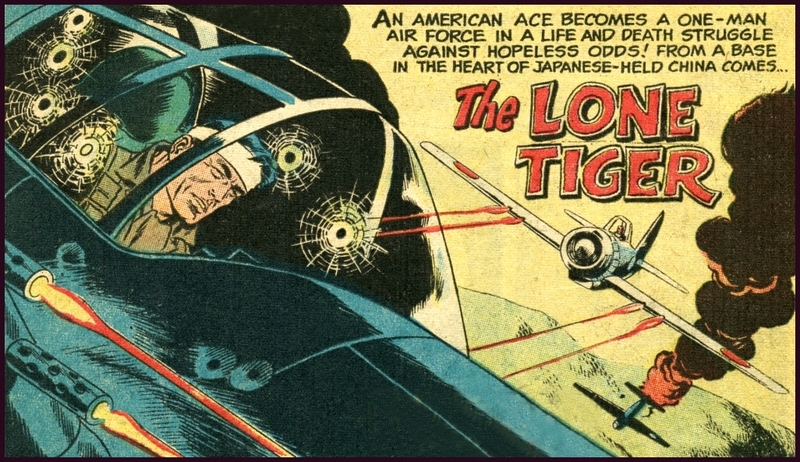 Although throughout a good part of the war on an official level Ky was either in charge of the Vietnamese Air Force or on an unofficial level, pretty much running it however he wanted anyway, especially so several secret shadow units under his direct command --- it still remained, as for being a warlord, Vang Pao was a real one in the strictest sense of the word --- although, it must be said he had his strings pulled rather extensively by the U.S.
After the French defeat at Dien Bien Phu in March of 1954, in order to ensure western interests would continue to be maintained in the general greater southeast Asian sphere, the U.S. and/or allies or closely allied mercenaries or surrogates continued to keep their hands in the pie at some level or the other. 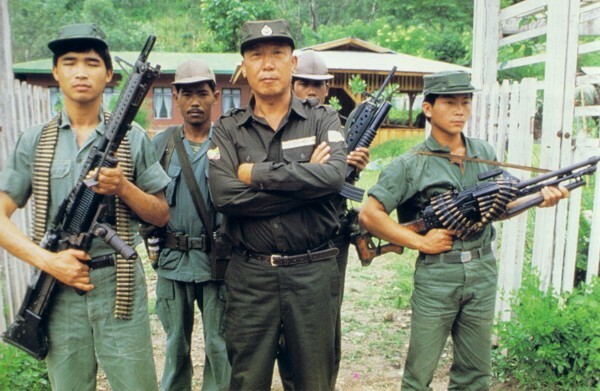 One of those closely allied mercenaries relative to American interest was Vang Pao, an otherwise minor Laotian warlord that through his association with the U.S. grew much more powerful than otherwise would have been ordained. Unrelated except for the striking coincidence, almost ten years to the day following the fall of the aforementioned Dien Bien Phu, through a series of events I found myself in the presence of Vang Pao, events of which were put into place by an even more copious series of events well beyond either of our control. Ending up under the operational arm of Vang Pao and his contingents was, at least in my case, only transitional in nature --- that is to say, I was actually in the process of going somewhere else to do other things and, as far as I was concerned, relative to how I viewed Vang Pao, just passing through. For me and the people I was traveling with, staying there was at least a semi or quasi safe harbor carved out of the otherwise surrounding highly hostile environment. Take a shower, get something to eat, maybe a beer or two, and possibly a good night sleep. Under most circumstances who I was and what I did, would typically offer no opportunity to meet or interact with someone as high up the chain of command as Vang Pao. However, other things were in the works. In that I was transitional, especially compared to the needs, wherefores, and whys of any mission the warlord's military contingents might have, I had upon arrival, no real part to play. The longer I stayed the less I had to do. With time on my hands, even though other low-ranking members I was traveling with were off trying to trade cheap hand-mirrors and pocket combs for favors with the local tribeswomen, in that we were all Sheep Dipped and I was in civilian garb, I had gone off on my own volition easily passing myself off like some Peace Corps volunteer rather than a heavily armed GI, to lend a hand in repairing and building an irrigation ditch and fresh water conduit that supplied drinking water to one of the villages. An advisor to the warlord, a shaman, informed the general of my actions and the general invited me join him for dinner. What is laughable about it all is my youthful naivete. Here I was, being said by others (and possibly thinking so myself) I was like some Peace Corps volunteer lending a hand building a fresh water conduit to supply drinking water for one of the villages --- when actually it came out later that the increased water supply offered by the conduit was just exactly what was needed by the warlord for the successful operation of a rudimentary refinery being put into place and tested for the commercially viable manufacture and production of a highly illicit and addictive drug, including the ability to increase the output level of the product. It should be brought to the attention of the reader that the incident mentioned in the above section regarding Nguyen Cao Ky wherein I, after being found in pretty bad shape by a Buddhist monk and the monk in-turn concluding that I was under the protection of the Lord Buddha, happened after I had left Vang Pao's stronghold, thus then Vang Pao not being privy to the same level of information as Ky. 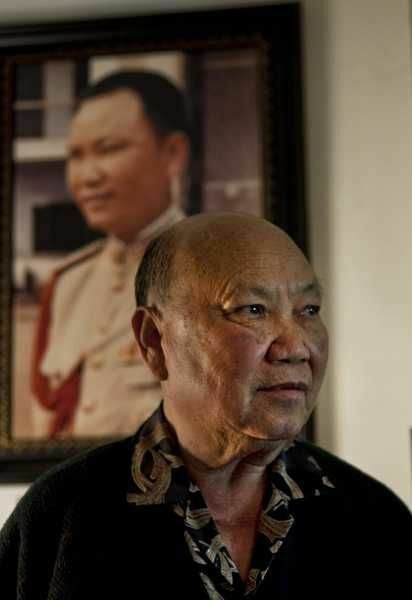 The photo on the left shows what Vang Pao looked like basically at the height of his power in Laos. The photo on the right shows Vang Pao more or less how he looked during the period of time I visited him at him home in Westminster, California. Note that the picture on the wall behind him is the same as the one I have presented on the left. Unlike both Nguyen Cao Ky and Vang Pao who I met again stateside long after their own however overlapping in-country wars were over, I never met or saw Khun Sa again in or outside of Burma after the night I first met him. As found in Doing Hard Time In A Zen Monastery, against the wishes of higher ups, I had holed up in a Zen monastery situated somewhere along the southern edge of the Qinghai-Tibet plateau. Without their knowledge nor necessarily mine at the time, I had ended up at the monastery after traveling from Chaing Mai in the northern reaches of Thailand to the upper reaches of the Himalayas on foot. One morning in the fields outside the monastery walls I was taking care of business when I was approached by three men. In what could be called nothing less than a blatant out-and-out forced kidnapping, having little or no option, against my will and with no real chance of making it back inside the monastery walls without being followed in by men with guns, I returned with them to Chiang Mai. On the return trip we stopped for a couple of nights at a military encampment or compound of Khun Sa. At first I thought we had been captured and taken to the camp, which for all practical purposes, we were. However, once we were inside the perimeter of the compound it was quite obvious that the men I was traveling with and Khun Sa knew each other. 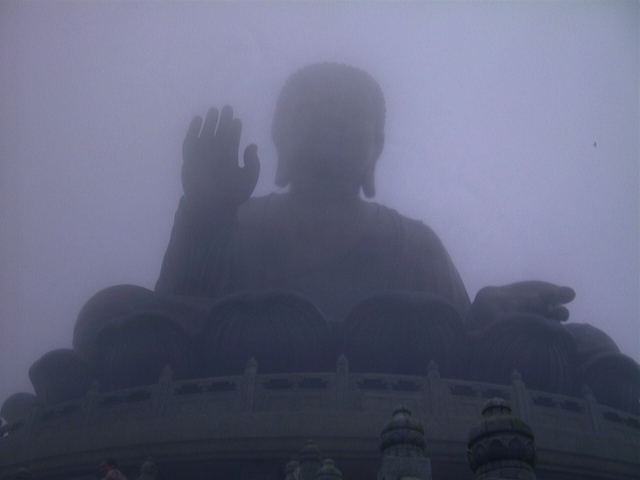 He wanted to see the man under the protection of the Lord Buddha. After a quick introduction I was told I was under HIS protection now. Everybody laughed. Then Khun Sa motioned me closer, almost immediately dropping his eye contact from my eyes to that of the the small gold Chinese character dangling around my neck. Reaching forward he softly took the tiny medallion between his thumb and index finger, looking at it very carefully and rubbing it for what seemed the longest time. The background noise and the overall din of the soldiers in the camp became quiet and the air stilled. As a man who could have and take anything he wanted I thought he was going to yank the chain from my neck. Instead he allowed it to gently fall against my skin and stepped back and the sound returned to normal. Basically a tribal person seeped in superstition, Khun Sa, and no doubt along with a good part of his camp as well, knew that for the necklace to have the intended power vested in it, it had to either be given freely and without malice or found after having genuinely been lost. Otherwise, if taken or stolen, its intent would be reversed and what would befall the person so involved would be quite the opposite of the protection it provided. For some reason I have always had a certain affinity towards warlords and their ilk. In Asia not all warlords that caught my interest were strictly land based either. 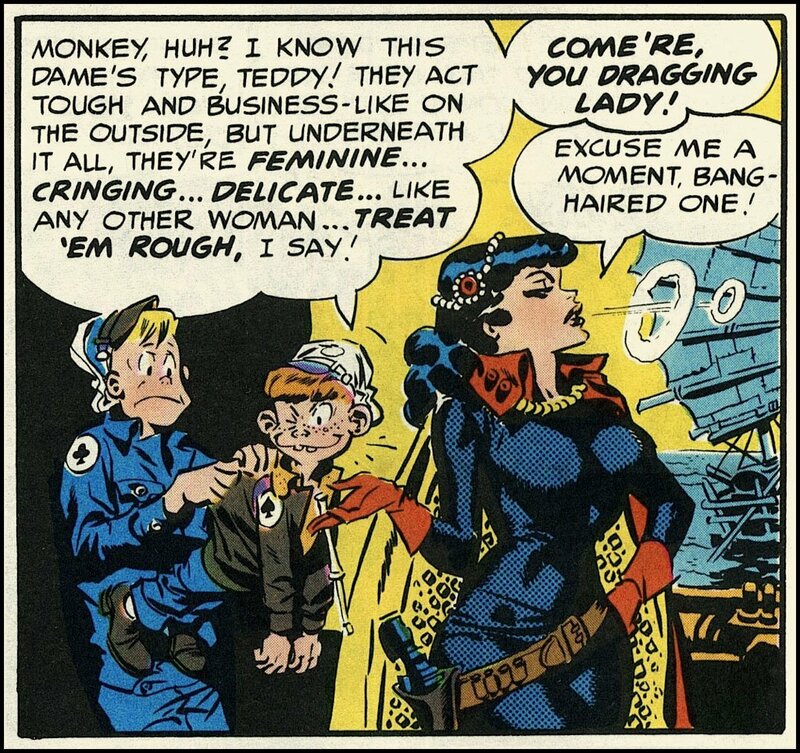 One of my favorites was a woman, although actually designated as a pirate and sometimes a dragon lady, she held sway over more square miles of territory than any two of the above land-based warlords. 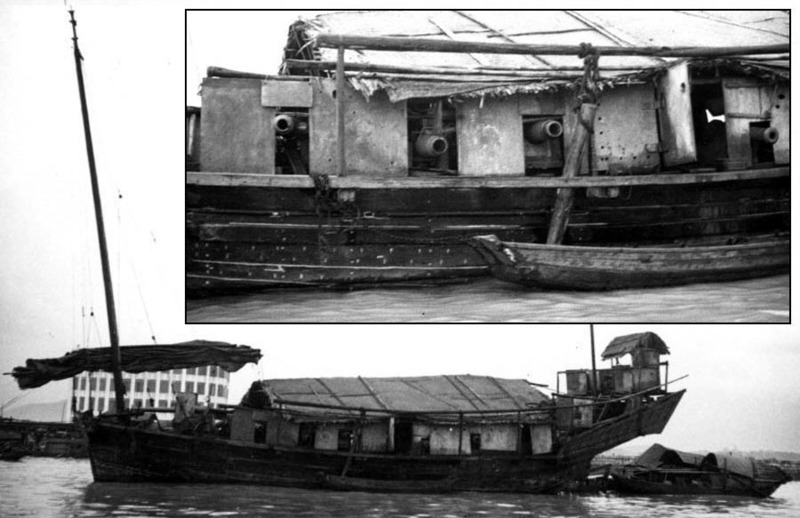 Her name was Lai Choi San, a notorious female Chinese pirate during the 1920s through the 1930s. She was said to have owned 12 heavily armed Chinese junks not to dissimilar to the one pictured below, all under her direct personal command, and as well, a fleet of several thousand buccaneers independently operating other junks all with sworn allegiance to her authority. 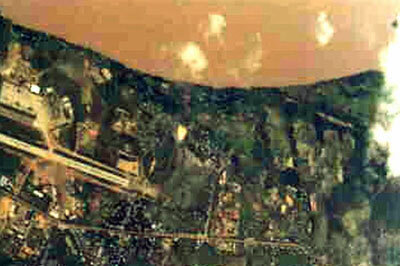 Loosely based in and around the Portuguese colony of Macau just outside of the British Crown Colony of Hong Kong her realm covered the Pearl River Delta and coastal shipping routes to all of the South China Sea as far away as Palawan in the Philippines Islands. 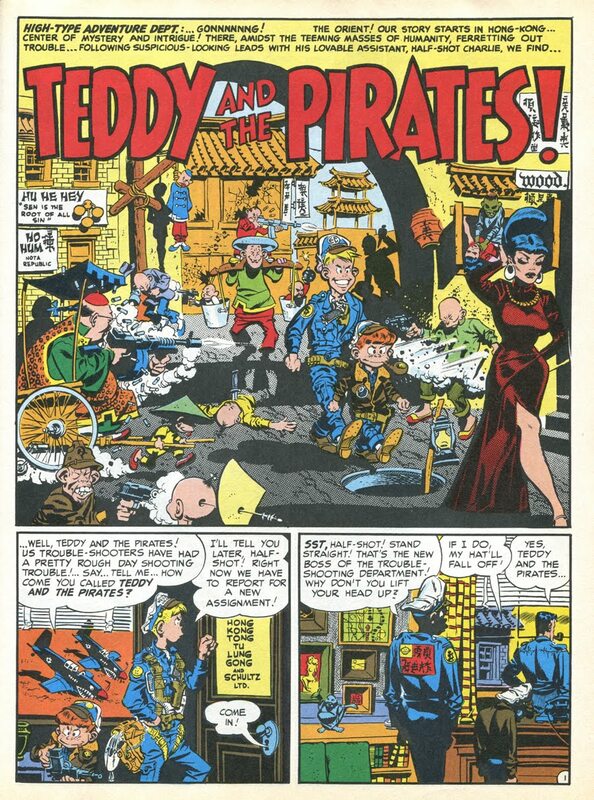 For the record, when cartoonist Milton Caniff created the character of the Dragon Lady for his Terry and the Pirates comic strip he based her on the real life Lai Choi San, even giving his character the same name. The man in Laguna Beach, asking me to wait, being in those days a time long before cell phones, went to a nearby payphone and made a call. The person he called had to call someone else. When he called back the man handed me the phone. The man on the other end said he was a friend of Roselli's and to prove it he was told to tell me not to ride any more trains to Sacramento. (see) Knowing full well what he meant I asked what he wanted and he responded with wanting to know if I remembered delivering a letter to a lady in Long Beach for Roselli. When I answered yes he asked me the name of the lady. I told him I would give him the first if he gave me the last, which he did, the name of the lady being Brenda Allen, the onetime infamous Hollywood madam. Apparently pleased with the results the man said on behalf of Roselli he needed to meet with me. In 1971, before a government instituted raid and the falling apart of the Brotherhood, the seminal book Be Here Now by Ram Dass, which Steve Jobs mentioned as being influential in his life, was published. In the book, which became a wildly popular best seller and a bible in the counter-culture, Dass mentioned a highly respected young white American he met in India called Bhagavan Das, a follower of the venerated Indian saint Neem Karoli Baba, that was fully and deeply ingrained into the spiritual culture of India. The two of them traveled around India together partaking of a variety of religious and spiritual undertakings as well as indulging in a lot of LSD. It just so happened Bhagavan Das was originally from Laguna Beach and, even though it was known on an underground basis locally, because of his stature given him in the Ram Dass book, although NOT affiliated in any fashion because he had been in India during all the years of the Brotherhood, had become a growing sort of hero amongst the local LSD crowd associated with the Mystic Arts World and the Brotherhood of Eternal Love. The person I call my merchant marine friend died during the summer between my sophomore and junior years in high school. During the early part of that same year the person that I call my Mentor bought and moved into the house next door. In almost every room of his house the walls were covered floor to ceiling with natural wood color knotty pine --- all of it, wall after wall, in need of refinishing, a job he decided to take on himself. In doing so he hired me to assist in sanding, scraping, and varnishing all the wood, working together side by side for weeks. 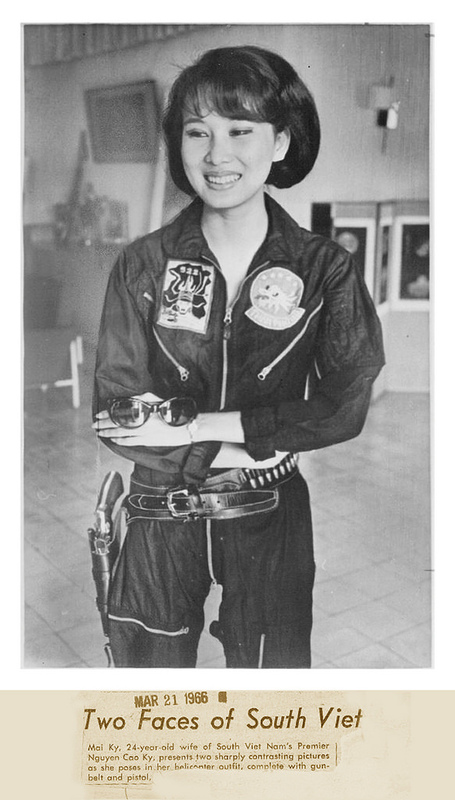 And that's how I came to know about the real life Chinese pirate queen, Lai Choi San. 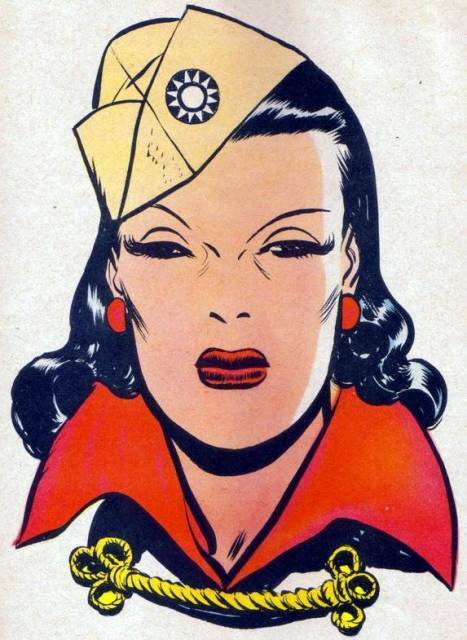 My mentor, in his travels from China to the Philippines in the mid to late 1920s, got hooked up with her in some fashion, either working in some capacity in exchange for transportation or paying his own freight. Now, while it is true my mentor's interaction with Lai Choi San was never really our only or single major topic of our ongoing conversations during that summer, she did take on a life of her own and a lot more meaning with me later in life when I discovered and read a book completely outlining her life. While reading the book I continually came across any number of things that refreshed my memory and totally paralleled what he told me he had experienced. Those so similar life and adventures related to Lai Choi San are covered quite extensively in the book written by a man of the same era named Aleko Lilius, who, under similar circumstance and time period, traveled with her as well. 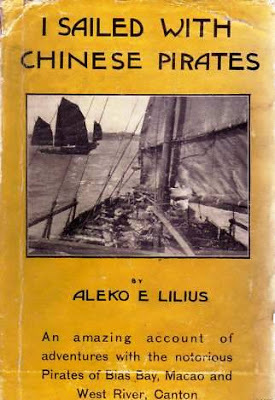 Lilius' book, linked below in PDF format, besides all the inside dope and adventures traveling with the pirate queen, is as well, loaded with a whole string of photographs of the pirates, their haunts, and ships. Although the term STRAC has crossed over into more-or-less standard lexicon becoming a "word", STRAC is actually a U.S. military acronym, the initials originally standing for Strategic Army Corps (US Army). Originally STRAC was a designation given to the XVIII Airborne Corps at Fort Bragg, North Carolina, in 1958. 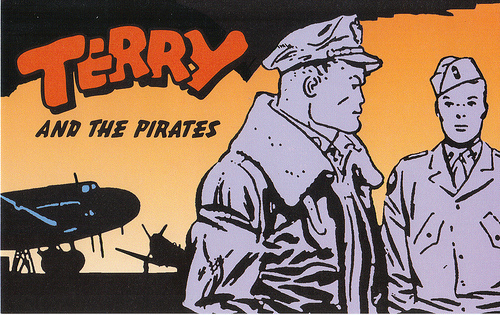 The designation was, in reality, the assignment of an additional mission rather than a true designation. The additional mission was to provide a flexible strike capability that could deploy worldwide on short notice without declaration of an emergency. The 4th Infantry Division at Fort Lewis, Washington, and the 101st Airborne Division at Fort Campbell, Kentucky, were designated as STRAC's first-line divisions, while the 1st Infantry Division at Fort Riley, Kansas --- of which following basic and AIT I, the Wanderling, was, except for a few run-ins with the ASA and being on TDY all the time, a member in good standing up to my ETS --- and the 82d Airborne Division at Fort Bragg were to provide backup in the event of general war. The 5th Logistical Command (later inactivated), also at Fort Bragg, would provide the corps with logistics support, while Fort Bragg's XVIII Airborne Corps Artillery would control artillery units.